Happy Christmas Eve! Please note our gym will be closed today. Enjoy this special day with friends and family. 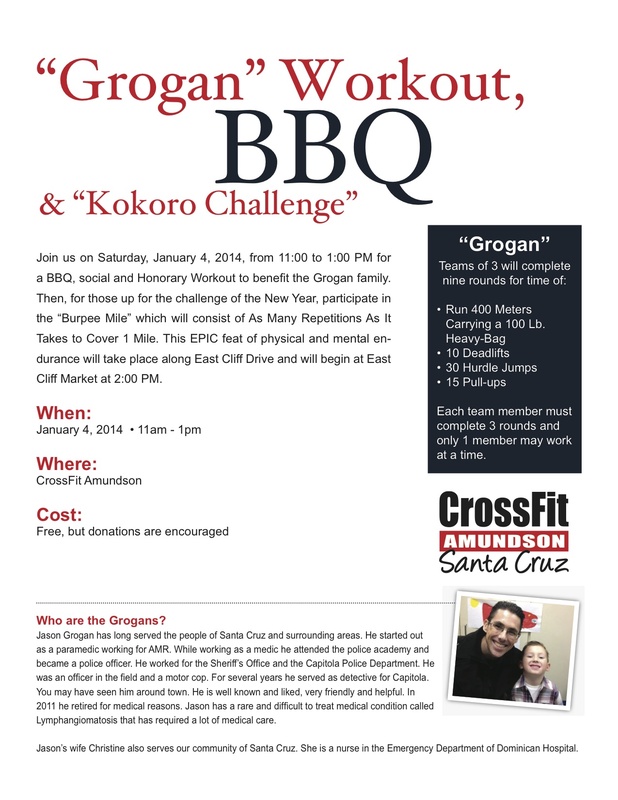 We are going to kick off 2014 by hosting a very important and meaningful workout and fundraiser for a local Hero. The Grogan family needs our love, support, and prayers this Holiday season. And the Burpee Mile is going to be just plain bonkers.